ATX Jerky is looking to fill positions at their Elgin store location and for working at farmers’ markets. Detailed descriptions of both jobs are below. Contact Greg at (512) 796-1210 for more information. Most Markets are on Saturday Mornings requiring the vendors to be set-up by 8:30am. The markets are generally open until 1pm. Set-up requires setting up folding 6′ tables, erecting a 10’x10′ folding tent, and carrying product (Jerky, Honey, Pickles etc…) in plastic tubs (up to 40lbs) and setting product onto tables for presentation. Cash boxes and credit card processing are provided by ATX Jerky; the market worker will need to have mobile phone access and internet service. We will provide the downloadable app needed as well as all supplies. This is a paid position. Payment is $40 per market plus 10% of sales. The general market averages from $75 – $125 for the market worker. Festival events are available offering more opportunity for sales and income. The market worker would be required to have reliable transportation, be able to pick up equipment and supplies from our warehouse pickup located in North Austin (Mopac & Wells Branch Pkwy) and have sufficient room for 3 tables, tent, tent weights, 2-4 plastic bins, roll-up banners. Liability Insurance and Valid Drivers License are required. After the market conclusion, drop off all product and equipment at same location. The position requires and outgoing personality to work farmer’s markets throughout the Austin Metro area. 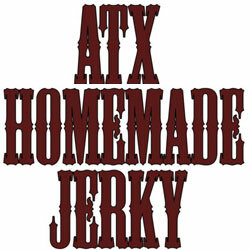 Offering samples and product knowledge are key and training and support is provided by ATX Jerky. This position is also available for Sundays (10am-2pm), Wednesdays (4pm – 7pm), Fridays (2pm-6pm) as well as the Saturdays. Market worker can work 1 or more markets per week. Very flexible scheduling. Requires Food Handler License (we can assist to obtain). Position would require general restaurant type duties, health department requirements are a must. This includes wearing hats or hair nets, using disposable gloves when handling food, and proper temp control for sanitizing equipment. We manufacture Jerky and also many products made with our honey. This allows a wide array of duties throughout each shift. The duties would include (but are not limited to) preparing the beef with spices for the cooking process. ; operating the dehydrating units; food prep; and packaging of the final product. We also deal with large volumes of cucumbers and other vegetables which we pickle and package for resale. Knife skills are a plus with this step. Applicants for this position are offered employment according to level of knowledge and experience in working in the food industry, stamina to stand for hours at a time, and cleanliness. Salary to be determined.